Direct selling rules state that potential customers first create an account before they can view our products and make orders. 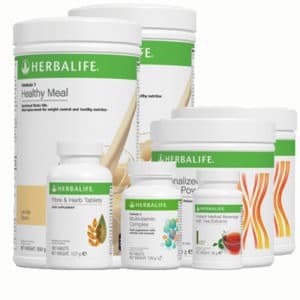 If you want to see all of our Herbalife prices, please take a few seconds to set it up. Please not that we will not give your email address to anyone, we do not send newsletters, and we will never email you first. In short – we will never disturb you. For you to get the best idea of our range of products, we have split them into groups and categories to make it easier for you to find something that suits your specific needs. Herbalife products are healthy, the programs are easy to follow, and most importantly, they give great results. Since our bodies are all different and we all have different habits and live goals, you can contact us for any information regarding our products to get and to get a program that is tailor made for you. Our team members will come up with a plan that will fit perfectly with your daily activities. 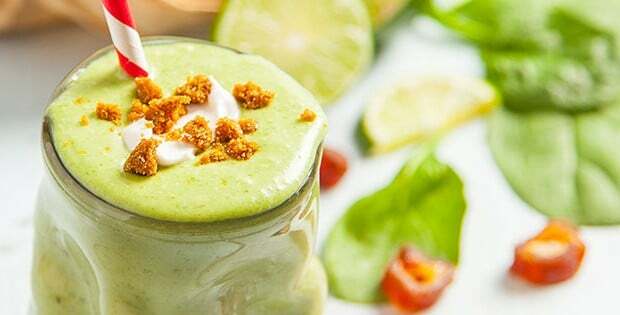 Will Herbalife Cost More than my Regular Food? 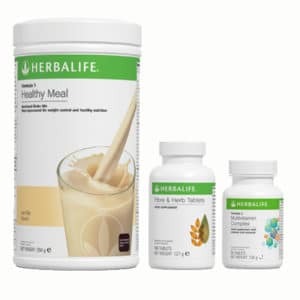 Herbalife prices its products to be very similar, if not lower, than what traditional meals will cost, so if you decide to start with any of our plans, it is great to know that there will be no additional expense for your budget. 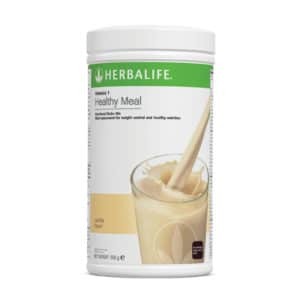 Rather, you will simply be replacing what you ate before with Herbalife’s highly nutritious and low calorie meals. 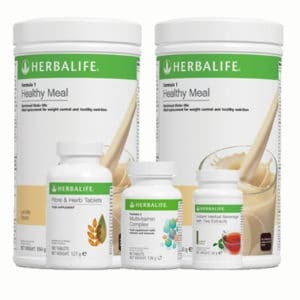 Herbalife prices are not meant to be a strain on your budget – our meals are just a better way to eat and live. 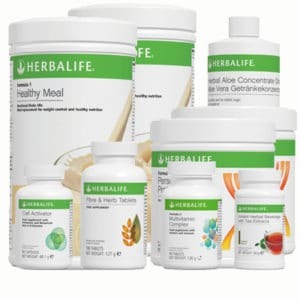 You will find that a Herbalife program costs between £2 to £6 per day, depending on the products you choose, for 2 meals per day and various other supplements, so it will definitely be easy on your budget. 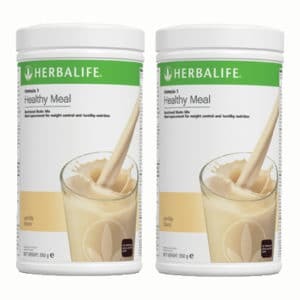 The great thing about Herbalife products is that they are made to last you for longer periods of time, not just a few days, so you will always have a healthy, low calorie meal at hand and not have to resort to unhealthy snacks or foods when you are hungry. 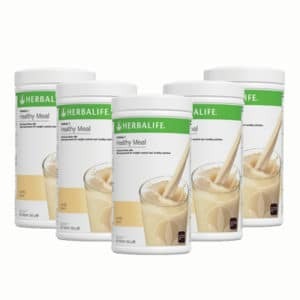 For example, the Formula 1 shake lasts for 21 meals, and will be enough for about 2 weeks as 2 meals a day. If you choose the monthly packages, you will be set with a fantastic weight loss program for a whole 30 days – the perfect time period for you to get visible weight loss results. Depending on what your needs are, take a look at the following categories of products we offer. 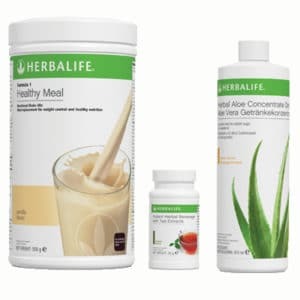 No matter if you are interested in losing weight, maintaining your weight, or just adding some healthy nutrition to your daily life, Herbalife has you covered. If you are someone who does a lot of sports, make sure to check out our Herbalife 24 page, which deals with our amazing sports nutrition products that are used by many of the top athletes around the world, such as Cristiano Ronaldo. We also offer some fantastic products for personal care with our brand new Herbalife SKIN range, which has been clinically proven to give visible results within just 7 days. For any questions you may have, just head over to our contact page, email us at info@hlfstore.co.uk or get in touch through our live chat. **All references to weight management relate to the Weight Management Program which includes, amongst other things, a balanced diet, regular exercise, an adequate daily fluid intake,nutritional supplementation where required and appropriate rest, individual results will vary.